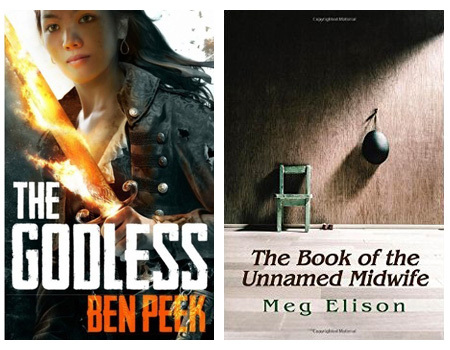 They then move on to the two chosen books, The Godless by Ben Peek (31:55) and The Book of the Unnamed Midwife by Meg Elison (1:12:45). If you've skipped ahead to avoid spoilers, please come back at 1:54:00 for final remarks. For the next episode, Kirstyn has chosen Day Boy by Trent Jamieson while Ian is recommending Viper Wine by Hermione Eyre. Read ahead and join in the spoilerific fun!